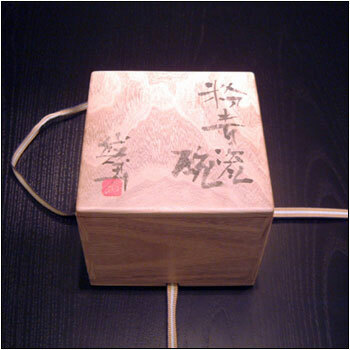 How to tie a string of wooden box. 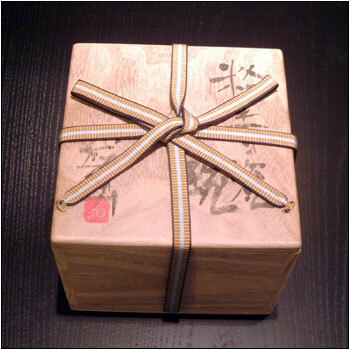 Most ceramic art works are kept in this type of wooden box with a string. 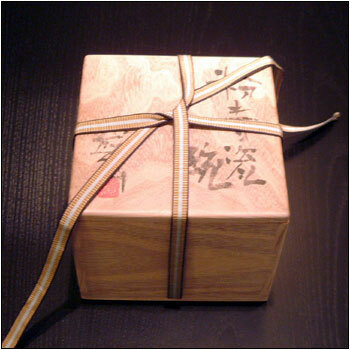 Wooden boxes will protect fragile pieces. 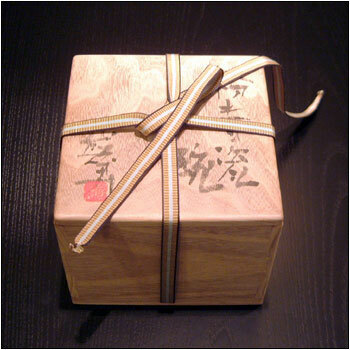 You can easily bring a box by handling the string. Today we are showing the easiest way to tie the string. 1. 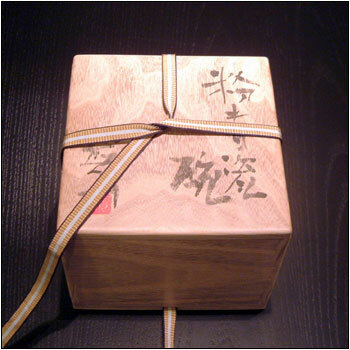 Put a wooden box in front of you. Lay the loop upper left. 2. Put the loop on the lid. 3. Pull the right string towards lower left over the loop. 4. 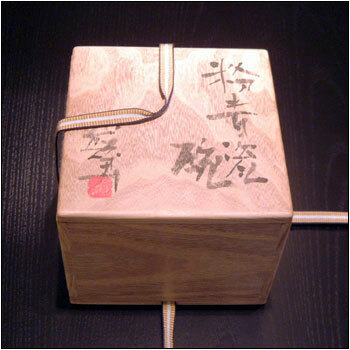 Pass the front string through the loop towards the upper right. 5. Fold the lower left one on the middle. 6. 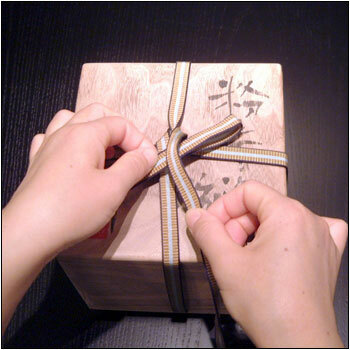 Hold the folded string with your left hand, and pull the upper right one over the folded one. 7. 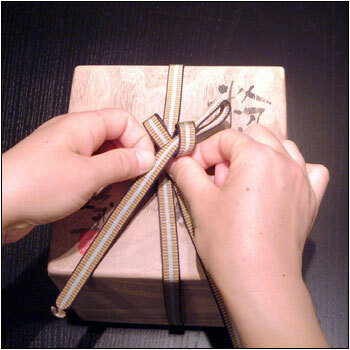 Pull the right string through the left folded string, and make a ribbon. 8. Adjust the length and form. Please do not tie it too strong. ※ Same order even if the loop comes upper right at the first step.